The Kimberley Dynamiter’s rise to the top of the hockey world was as explosive as their team nickname may imply. 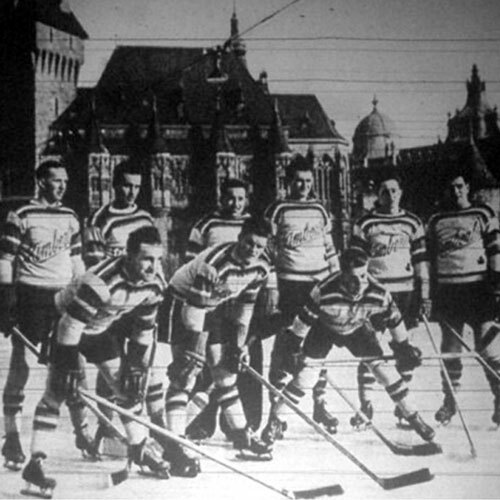 The Dynamiters reached the very pinnacle of the hockey world in 1937, only five years and two months after the team was first formed. The Dynamiters claimed the Allan Cup ( emblematic of senior hockey supremacy in Canada ) in 1936, defeating the Sudbury Falcons in two straight games. The scores were 2-0 and 4-3 in favor of Kimberley. 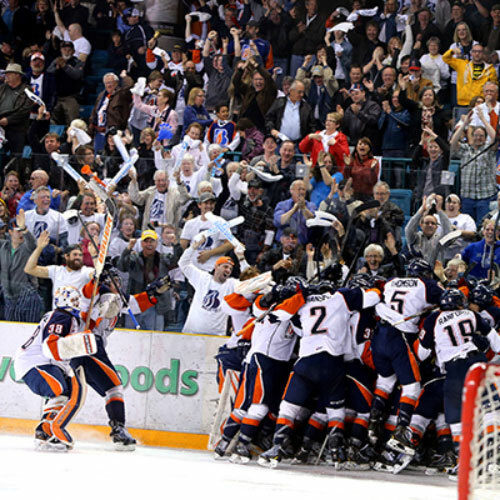 The season after their Allan Cup championship was a busy one for the boys from Kimberley. 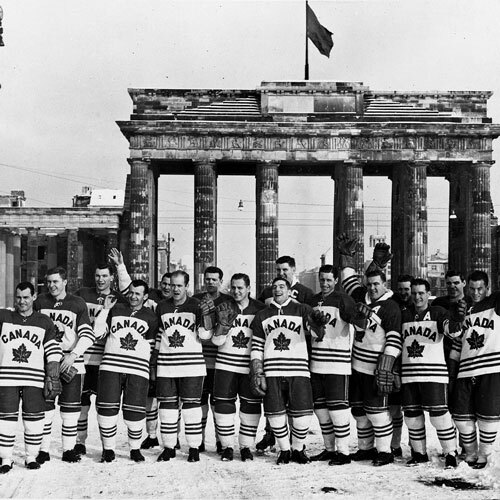 They embarked on a 62-game tour of Europe, eventually ending up in London, England, the site of the 1937 World Ice Hockey Championships. The tournament was hosted by the British Ice Hockey Association. At that time, Great Britain was the reigning European, Olympic and World Ice Hockey Champions. 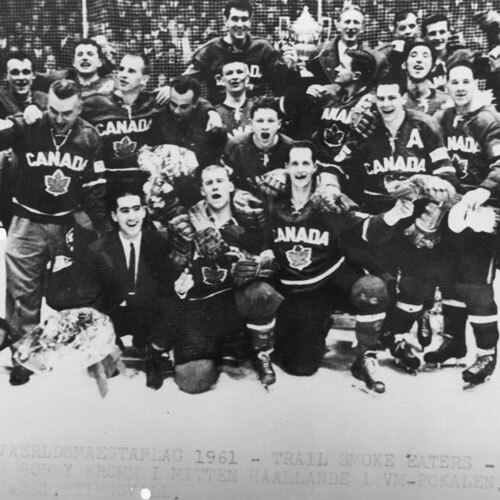 However, it was the Dynamiters who dominated the championship tournament, as they swept aside Great Britain and everyone else who got in their way. The Dynamiters were unbeaten in nine games at the tournament, outscoring their opponents by a margin of 60 – 4. Netminder Ken Campbell registered six shutouts in the nine games played. The Kimberley Dynamiters enjoyed another taste of success in 1978, again winning the Allan Cup, but the Kootenay community will always be remembered for the Dynamiters team that exploded onto the world hockey stage in 1937 and rocketed all the way to the top.